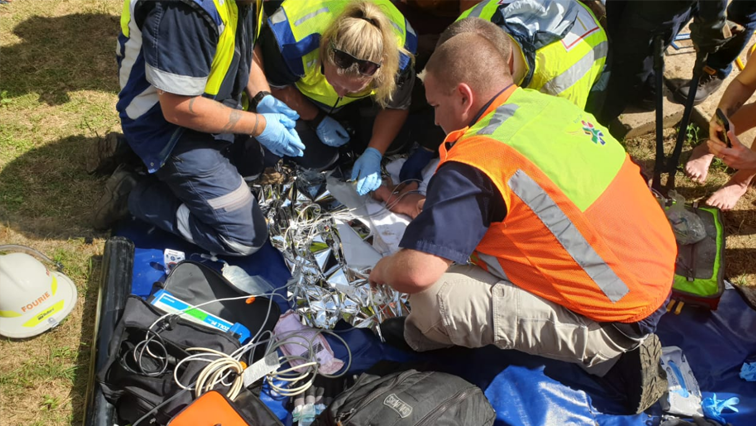 An infant rescued from storm water drain in KZN - SABC News - Breaking news, special reports, world, business, sport coverage of all South African current events. Africa's news leader. The baby girl was rescued by paramedics and rescuers from various emergency units. KwaZulu-Natal Health MEC Doctor Sibongiseni Dhlomo is calling for more awareness around family planning, in light of the newborn baby who was rescued from a storm water drain in Newslands East, north of Durban. The baby girl was rescued by paramedics and rescuers from various emergency units in a four-hour long operation. Speaking at the Inkosi Albert Luthuli Hospital in Durban, where the infant was airlifted to for medical attention, Dhlomo says the department needs to better communicate the options around family planning. “Maybe we have not done enough and we cannot say we have done enough in terms of advocacy for family planning. Because this baby is a result of an unplanned, probably unwanted pregnancy. And therefore we would want to advocate and strengthen those systems. “There are options available for any mother even if there has been this failed family planning problem, come to our facilities. We always talk about the possibility of a baby being adopted at birth,” says Dhlomo. The Department of Health in KwaZulu-Natal has admitted it hasn’t done enough education on family planning education. Police are investigating an attempted case of murder. An eye witness heard cries of a baby coming from the drain but mistook them for a cat until he went to have a look. Emergency Services had to break the concrete drain carefully. Members of the community were angry. “We are extremely upset about this. We have lived in this community for over 40 years and nothing like this has ever happened. It’s disgraceful,” says one community member. The department of health says there are a number such cases because of a lack of family planning. “We cannot say we have done enough in terms of advocacy for family planning because this baby is a result of unplanned probably unwanted pregnancy,” says Dr Sbongiseni Dhlomo. It’s unknown who her mother is. Police are still investigating. This entry was posted on 11 Feb 2019,07:08PM at 7:08 PM and is filed under South Africa, Homepage Featured Story Slider. You can follow any responses to this entry through the RSS 2.0 feed. Both comments and pings are currently closed.